Closet staples are such a major part of building a wardrobe that can take you far with just a few key pieces. 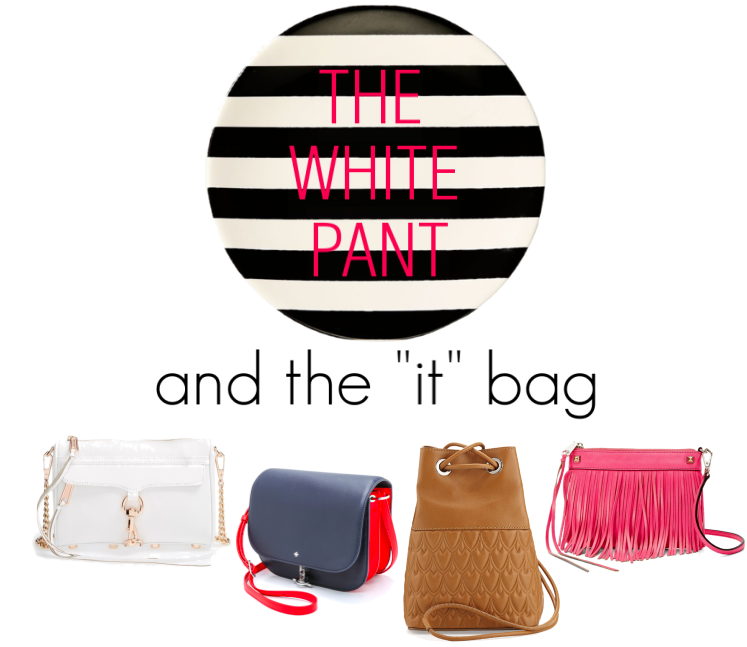 For me, one of those staples is the white pant. Whether you favor the classic skinny, worn-in vintage or the 'new again' flare, these tips on what to pair with it and how to create the look will take you all through your summer in style. 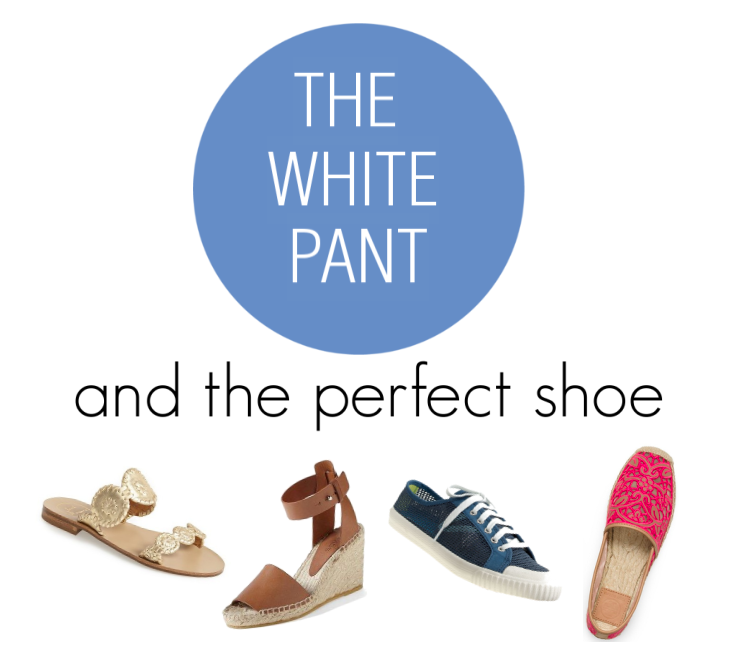 My two current favorite white silhouettes are this skinny and this flare pair. No matter which you choose, the most flattering look is all about balance. The body con skinny works best whenever it's complemented by a looser and sometimes longer flowing top. A great voluminous cold shoulder version (loving this one) evens out the look by drawing the eye up. An off the shoulder top and a great pair of wedges can do the same thing. 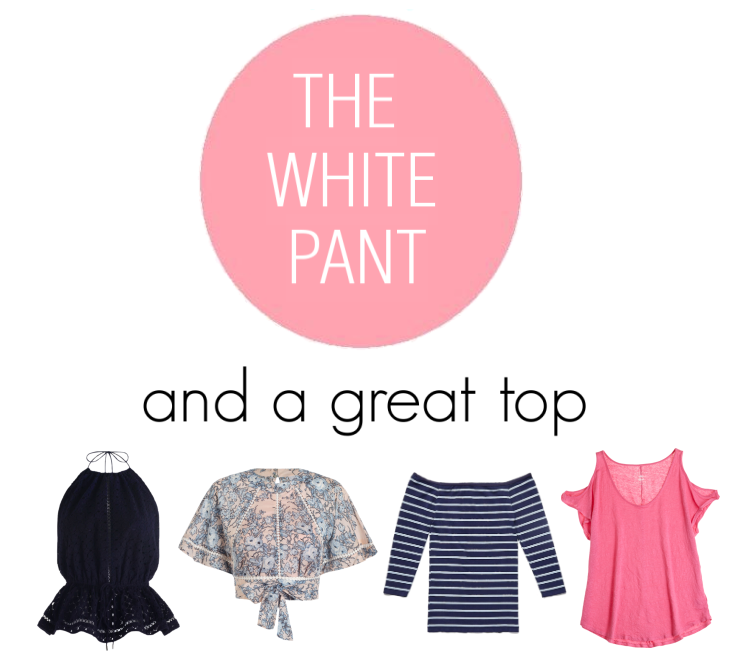 If classic pieces are more your go-to, the skinny white pant can also work flawlessly with the iconic striped bateau. Nothing says American summer like the always right navy and white combo. I'd say punch the look up with a fun pair of pink espadrilles or go Jackie O. with these classic slip on sandals. I didn't think I'd ever say this but I'm so happy to see the flare come back around. High-waisted versions are even better as they are so very flattering and work perfectly with cute crop tops and waist baring midriffs. A cute crossbody with eye-appealing hardware (this one is on major rotation with me right now) or a flirty fringed option that doubles as a clutch would each be adorable with this kind of look. Be sure to invest in two pairs of this jean with different inseams so you can wear both a flat and a heel depending upon where you're going and who you're going with.